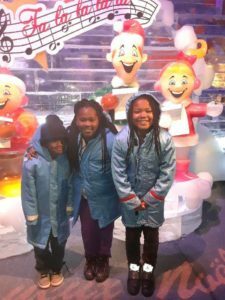 The kids of CAMP HOPE got to have a world-wide adventure at the Gaylord Palms ICE! Experience, closing out our inaugural week of camp. 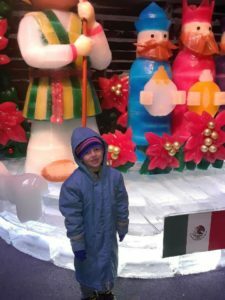 The theme was Christmas Around the World with sculptures made completely out of ice- over two million pounds of it! 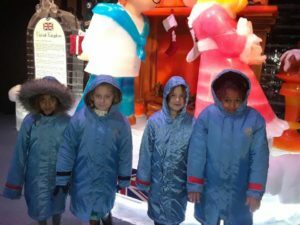 Each child was given a thick coat because the building is kept at a chilly 9*F while they explored all of the different displays, including a life-sized nativity scene. 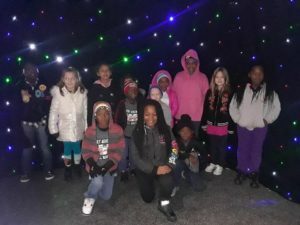 The campers got to see how the sculptures are made in the Frostbite Factory, and be wowed by the Cirque Dreams Unwrapped Stage Show- showcasing the thrill and magic of Christmas. It was a very successful (and fun!) adventure for everyone. Congratulations on an awesome first week of camp- we can't wait until Spring Up (our spring break camp) is in session!